Our littlest, Orrin, who is 14 months old currently, has lovely baby skin. You know, that super soft, oh so kissable baby skin. Well, I want to keep it that way! We have eczema in our family, so we try to keep that at bay and hopefully avoid it with children who haven't had an issue with it yet. To do so, we try to keep bathing to at-needed basis and use very mild, gentle formulas- especially for the babies. Baby Mantra has a very gentle formula that we have really enjoyed using. All of the products have a very, very mild scent to them- none of them were over powering at all. I like that there is a little (natural) scent, but nothing overpowering. 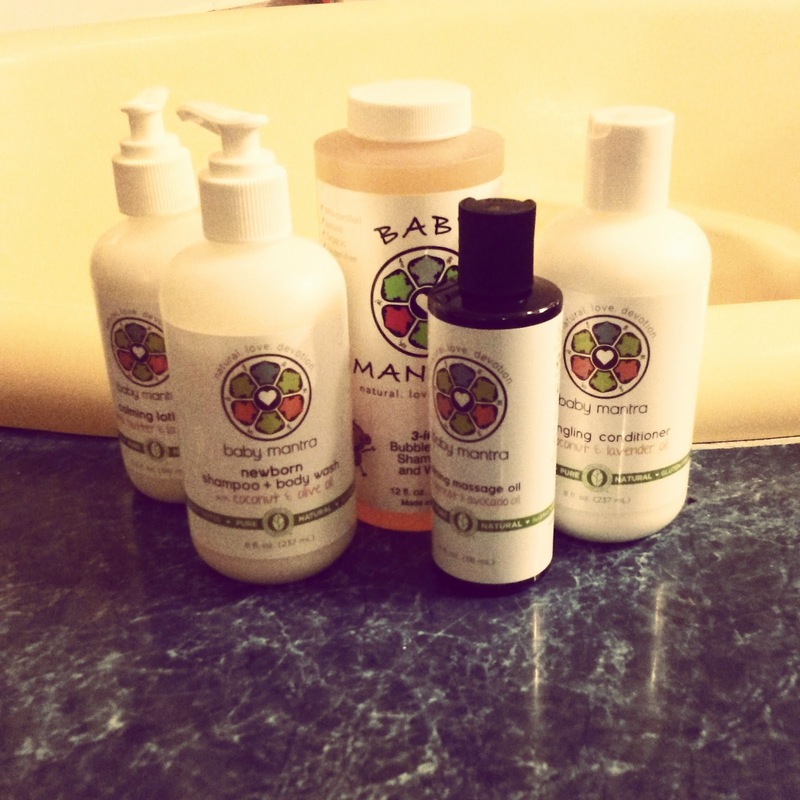 Baby Mantra is a certified natural, cruelty-free and gluten-free baby skincare line that offers environmentally conscious products from ingredients to packaging. These products were created by two sisters on a mission to provide safe and ecologically sound skincare, and they've done a great job. All products are made in the U.S. and are inspired by all-natural home-based remedies. Baby Mantra is available on Amazon.com, at BabiesRUs.com, and select Walgreens stores. The newborn shampoo and body wash is our favorite product. It's just what you want when you are wanting to give your baby that nice, soothing, gentle bath. The massage oil is my second favorite Baby Mantra product. It has a lovely light scent. I use this right after bath time, and it's helped keep Orrin's skin very soft! If you are looking to give your baby a very soothing, very natural and gentle bath experience I would highly recommend Baby Mantra.